Toni Bissen (2013), is Executive Director of the Pu’a Foundation, a charitable organization that was established in 1996 as a result of the apology, redress, and reconciliation between the Native Hawaiian people and the United Church of Christ (UCC) for the Church’s complicity involved with the 1893 overthrow of the Hawaiian Constitutional Monarchy. The Foundation’s vision is that through pu’a, the process of feeding, nourishing and strengthening, there will be the emergence of empowered, enlightened communities and society. Its aspiration is community healing and well-being to reconcile the past with the present, so that as a Hawai’i community, together we can build a better future. Toni holds a Juris Doctorate (law degree) from D.C. School of Law, now the University of the District of Columbia in Washington, D.C. She has worked for various non-profit organizations and in private practice. 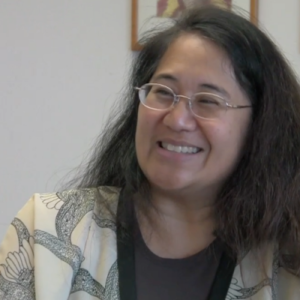 In this interview, Toni focuses on Trauma Informed Care Initiative, a public/private partnership project at the Women’s Community Correctional Center (WCCC) of the Pu’a Foundation in Kailua, Hawai’i. The issue of a women’s pathway to prison is a complex one, that often involves trauma, be it personal and perhaps historical or cultural. The over-representation of Native Hawaiians in prisons could be linked to historical issues or trauma associated with the events like the 1893 overthrow. The Foundation’s work at WCCC centers on the idea of creating a pu’uhonua — a place to live a forgiven life, a place for transformation, a place that nurtures healing within the individual, family, and community. She explains how transforming the prison into such a place also reduces recidivism. I began the interview by asking Toni where she was born and raised. In Part 2 of this two-part interview, Toni further discusses the Pu’a Foundation’s work at the Women’s Community Correctional Center (WCCC), including sponsoring the Prison Monologues, live performances based on the writings of incarcerated women. The all-female prisoner cast of the Prison Monologues performs their own writings at schools, community organizations, universities, and government agencies, sharing true stories about their lives, their fears, their relationships with their families, and their personal transformation. 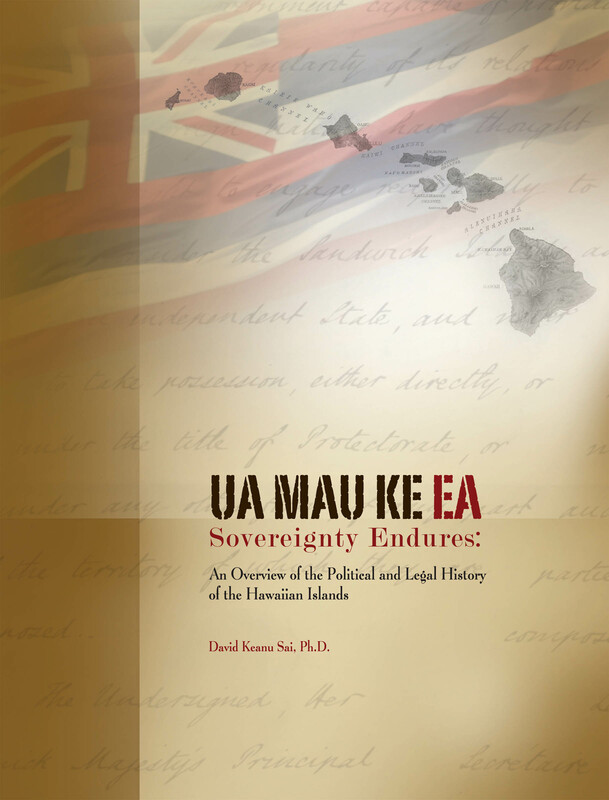 The Pu’a Foundation published in 2011 a textbook, Ua Mau Ke Ea, Sovereignty Endures: An Overview of the Political and Legal History of the Hawaiian islands, by Dr. Keanu Sai, as part of its work in the area of the community healing and well-being and to reconcile the past to the present so a better future can be built together -Ua Mau is part of developing community educational resources to foster a deeper and clearer understanding of Hawai’i’s history. The textbook is accompanied by a DVD by filmmaker Kau Sai-Dudoit. Let’s listen to Toni discuss the performance, textbook, and DVD.